Looking forward to chatting about all things African pulp fiction (with pulp zine Jungle Jim in the main frame from at least me) at this year’s Franschhoek Literary Festival – with Sean O’Toole, Jenna Bass (of Jungle Jim editorial fame, among a host of other fames), Stacy Hardy of Chimurenga (all of whom have appeared somewhere, maybe obliquely but somehow, in AiW’s pages over the last year), and Rhodes University academic and author, Ashraf Jamal. 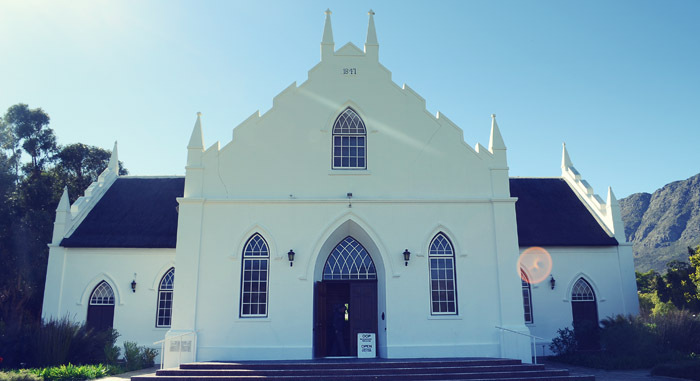 The Franschhoek Literary Festival runs this year from the 17-19 May, with the Pulp Fiction roundtable on Saturday the 18th at 2pm in the Congregational Church Hall. For those interested who can’t make it in person, watch this space for updates and a review further down the line. And for those who didn’t catch AiW’s series on African pulp-fiction zine Jungle Jim you can check out the first post in the series here. Apart from the awesome and absolute gravity of the pulp event (ahem… there should, at least, be much talk about the relative seriousness of genre fiction and the establishment of literary and visual/graphic art networks across the continent that pulp appears to generate, let alone the impact further afield), the FLF will, along with the very best of local writers, publishers, editors and all manner of writing related talent, be welcoming well-known international authors, as well as hosting fringe events, and, for the first time this year, running the “pick me up, read me, pass me on” initiative – involving local coffee shops, some ‘pick me up’ stickers, and a book you’ve loved but are willing to exchange. There will be an Open Morning for children and learners on Friday, 17 May – a result of the success of the festival’s first Book Week for Young Readers – and part of the ticket price for events, which has remained the same since the FLF began seven years ago at R60, goes into the FLF Library Fund, a fund which enables initiatives like the School Library Project, demonstrating a key motivation of the Festival to get books into kids’ hands, and to encourage them to read by supplying exciting mother-tongue leisure reading. For more info – see the FLF site and below. International authors include Alexander McCall Smith, author of the much loved The No.1 Ladies Detective Agency books; Antony Beevor, award winning British historian; Anthony Horowitz, best known for his Alex Rider and Power of Five series and the latest Sherlock Holmes novel, and Kate Mosse, author of the international bestseller Labyrinth. New authors for the FLF include radio personalities Redi Thalbi and Eusebius McKaiser, top journalists and editors including Jane Raphaely and writers Hlumelo Biko, Marguerite Poland, Jo-Anne Richards, Anchien Troskie, Sydda Essop and Patricia Glyn. This year we’ll be launching our “pick me up, read me, pass me on” initiative. Bring a book to the festival that you’ve enjoyed, but are happy to pass along to a fellow reader. Pop a pick me up sticker on it, collected at the main hall at the Media desk and leave it in one of the coffee shops for another book lover to enjoy. Local coffee shops will be spreading the books around, and if you see something you think you’ll enjoy, pick it up!An integral objective of the Franschhoek Literary Festival has always been to encourage a love of reading through access to authors and books, not only for festival goers, but for the community of Franschhoek. It was with great pleasure that in October 2012 the FLF Library Fund was able to launch the School Library Project. Devised and managed by qualified librarian Margie Cunnama, this project aims to improve school libraries in the valley and supply them with exciting new leisure books to inspire regular reading. As schools open for the new year, five Franschhoek Valley schools will have a range of new library books and library facilities, ready to be enjoyed by the learners. Each school will receive over 300 new titles for their libraries, with careful consideration given to the choice of books, focusing on stimulating, age-appropriate mother-tongue fiction to encourage reading for pleasure. Donations will be ongoing. To improve library use, the FLF librarian will also spend one day a week in each of the primary school libraries so that classes are able to visit the library, take out new books and enjoy book-related activities, including story time. The FLF Library Fund will be making similar donations to the Container Library in Groendal to extend access to books to more readers. This small children’s library was offered to the FLF in 2008 by the Exclusive Books Reading Trust almost fully stocked, and is staffed by the municipality. In addition to the improvement of library facilities, the festival will once again be preceded by our Book Week for Young Readers, bringing over 50 children’s authors and illustrators to school classrooms throughout the valley. The Book Week will run from 13 – 16 May, with an Open Day for learners and students from outside the valley on Friday 17 May. (Learner/student tickets are R20 per event). The organisers of the Franschhoek Literary Festival are delighted to announce that the 2013 festival will include an Open Morning for children and learners on Friday, 17 May. This exciting addition is a result of the enormous success of the festival’s first Book Week for Young Readers, which took place this year. The Book Week saw 50 authors visit 4,300 learners in their classrooms at schools in the Franschhoek Valley. The events were thoroughly enjoyed by the pupils, teachers and visiting authors, and will take place again in 2013 as part of the festival’s commitment to bring the love of books and reading to the community. The Open Morning will have events for a range of ages and will include internationally acclaimed authors Anthony Horowitz, bestselling writer of the thrilling Alex Rider and The Power of Five series; Alexander McCall Smith, creator of the much loved Precious Ramotswe from The No. 1 Ladies Detective Agency, who now stars in a new series for children; and Paul Geraghty, award-winning author and illustrator of children’s picture books, who delighted our younger readers at last year’s Book Week. The Book Week and Open Morning will also see a host of talented young South Africans taking part, including award-winning young adult authors, writers from the acclaimed Youngster series and events with a focus on Science and Technology. great to hear about the festival. I’ll be checking the book fest website for the reports on the children’s events. The plans to involve local communities and schools are encouraging and in such a beautiful setting. Only wish I could be there!